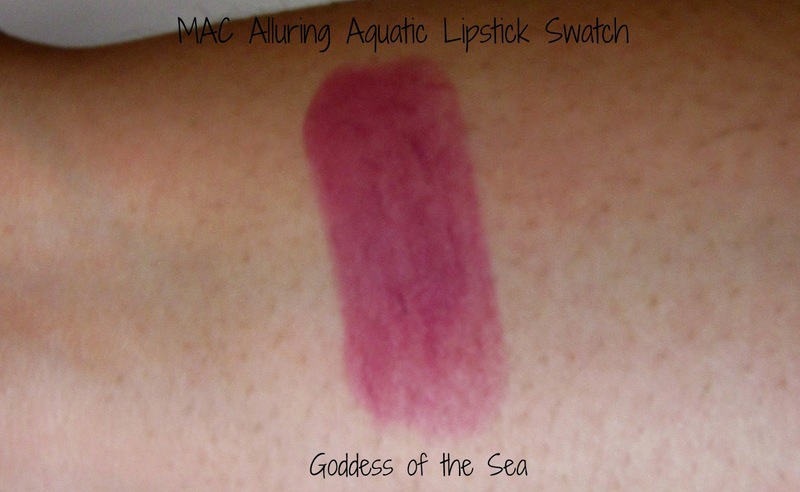 Wrapping up the MAC Alluring Aquatic collection is the Goddess Of The Sea lipstick. I was hoping to grab hold of Enchanted One and Mystical as well, but I missed them out online. Luckily, I was able to get them on back-order at Nordstrom's; unfortunately I won't get a hold on them till early next month. I'm not going to talk much about the packaging, except that it's absolutely gorgeous and so unique. I've spoken about it here and here. I think this packaging is one of the best packaging I've come across. Look at those waterdrops! 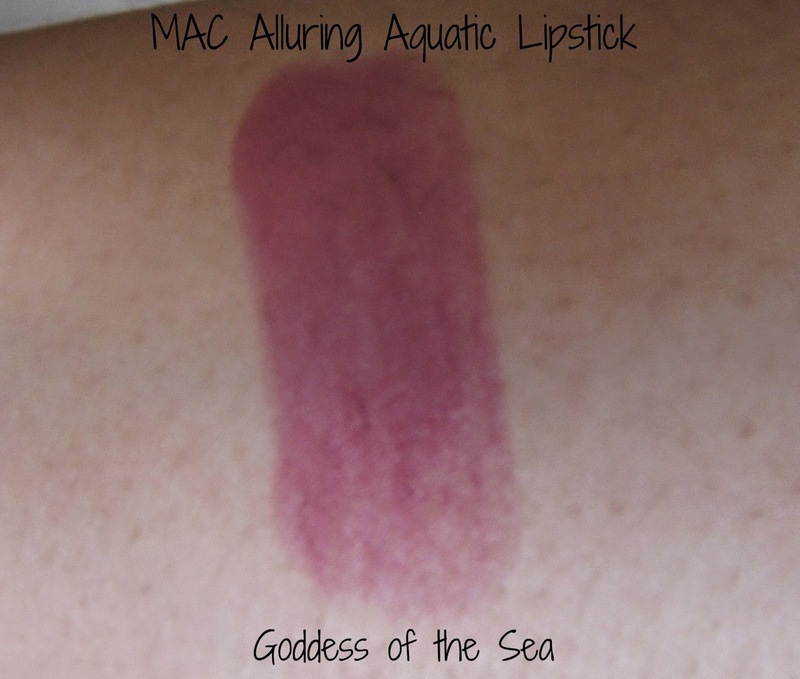 I have Goddess Of The Sea, which is described as a dark, vibrant violet. 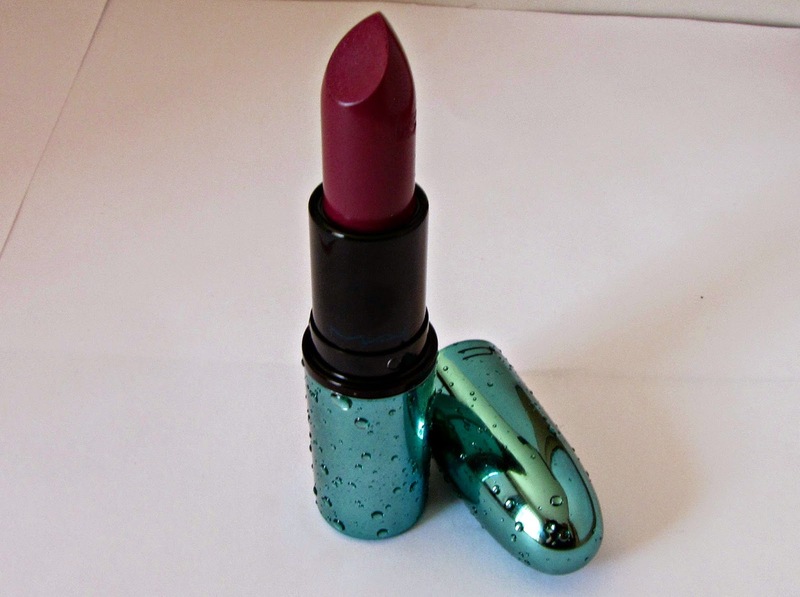 It is a Cremesheen finish, which is personally one of the more comfortable finishes for me. I would describe it as a medium cool-toned berry. 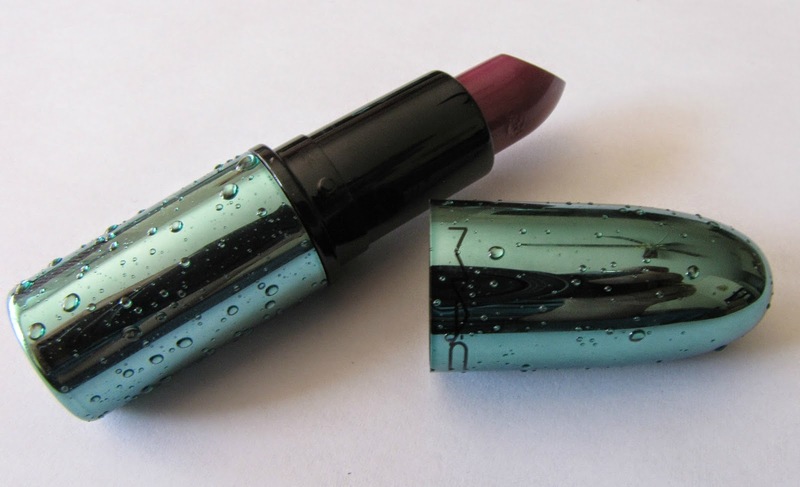 It is semi-opaque, but can be built up to a deep berry finish with multiple swipes. 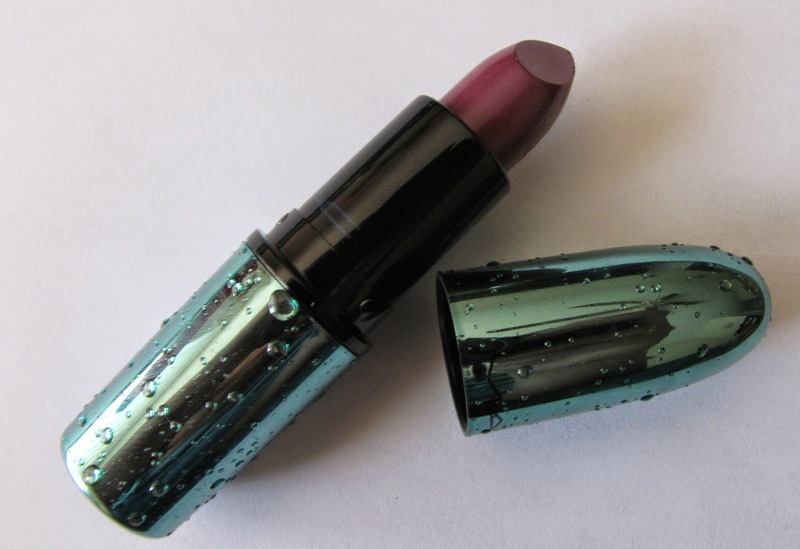 It can be worn lightly as a stain, or at full opacity; I like using it as a soft, just-bitten lip stain during the day, and built up at night. 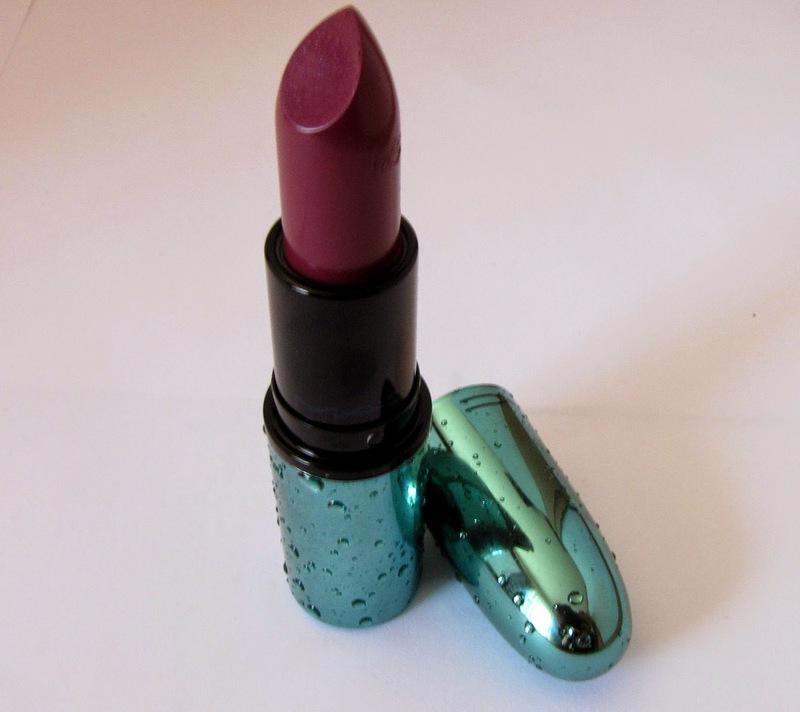 It feels light on the lips, and is comfortable to wear. It's not very moisturizing though, but doesn't dry out my lips either. I would recommend wearing a light lip balm under this, just to provide some hydration over time. It bleeds out a little bit, but it's not noticeable. I've worn a colorless lip liner, and it helps to extend wear a little bit, and also eliminates any bleeding and feathering. Wear time is surprisingly long - I can get a good four hours out of this without lip liner, and four and a half hours with lipliner. 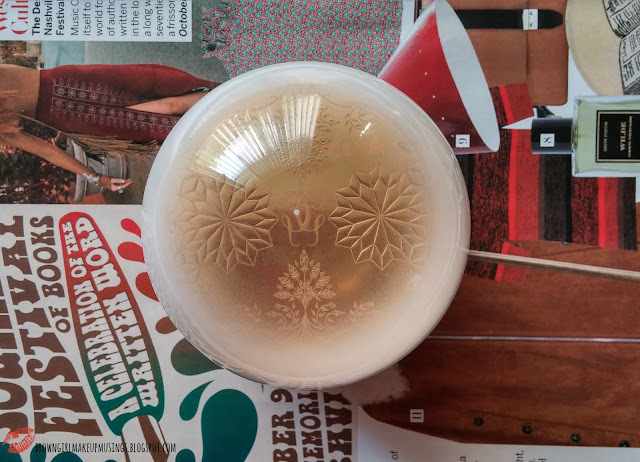 It's got the typical MAC vanilla scent to it, which I find pleasant, but the scent is mild and doesn't linger. As previously mentioned, it is comfortable to wear, and does require touch ups as it cannot hold up to drinking and eating. It leaves behind a very light stain once it has worn off, though, but fading is noticeable, so touching up would be needed. I'm glad I have this shade - it's one of those shades that will look gorgeous on all skin tones, but I think it will definitely shine on deeper skins. If you have a chance to get hold of this, I recommend that you do. It's gorgeous, and you won't regret it! Oh, this looks so good! Like Rebel but more everyday!